Greg Cochran (Blogs here) has been both pastor, mentor, and friend. For over a decade now, he has been writing, speaking, and an advocate on behalf of the persecuted church. To date, I have found no one more attuned to the modern reality of persecution, all the while furnishing a robust, biblical-theology of Persecution. This week, he published two academic articles on persecution. Here are links to his articles. What Kind of Persecution is Happening to Christians from Around the World? If you are making your way to San Diego in the Fall for ETS, make sure to visit his session. Greg is presenting on “The Priority of Ministry to the Persecuted Church: A Reorientation of the Paradigm of Biblical Justice”(Session D 8:30am–11:40am Wednesday: Church History 1). Greg is seeking to influence both the Church and scholarship on how to properly think about persecution. These are articles are well worth your time, both intellectually as well as spiritually. In the myriads of current biblical theologies, some have focused on whole Bible theologies whereas others have only focused on authorial biblical theologies (i.e., Pauline Theology, Petrine Theology, Johannine Theology, etc.). Ambrose of Milan, a Late 4th century Western Father, provides an intriguing word to the inter-relationship of authorial thought. Especially in modern Pauline theologies, how many incorporate Hebrews into the worldview of Pauline thought? Not many, if at all. There are few Ancient Homilies on Hebrews. Origen has the earliest known homily, though non-extant. Current researchers are familiar with it because Eusebius mentions the homily in Ecclesiastical History. In our Modern/Post-Modern era, Hebrews 6:4–6 continues to provide exegetes and Bible readers trouble. The same was in early Christendom as well. Even the Ancient Homilies and comments on Hebrews 6:4–6 prove troubling to early interpreters. Few fathers of the Christian faith appear after the death of John that have extant literature. Very little is left of Papias or Polycarp; some of which exist as quotes in other early literature. Iranaeus may be one of the first richest and earliest theologian in the proceeding decades after John. 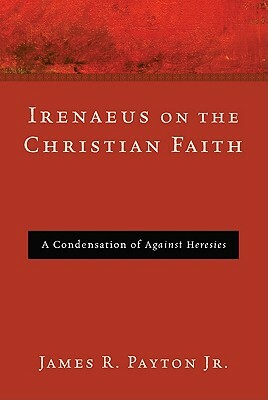 Irenaeus (130–202), in Against Heresies, set forth a deafening blow to Gnostic Christianity. Calling it heresy, Against Heresies is a massive 5-volume tome. 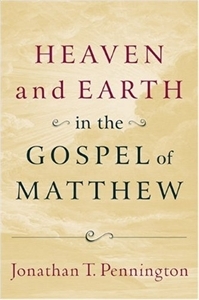 Half (Book 1–2) is devoted to critiquing Gnosticism and the other half (Book 3–5) is devoted to describing the Christian faith. 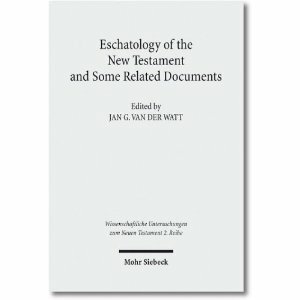 Jörg Frey, in the “New Testament Eschatology—an Introduction: Classical Issues, Disputed Themes, and Current Perspectives”, describes the past 200 years of eschatological discussion and its academic difficulties within critical scholarship. His description is four-fold: 1. The Term ‘Eschatology’ and the confusion of theological Language; 2. The Deconstruction of Eschatology in the Modern Debate: From Reimarus to Schweiter and Bultmann; 3. Crucial Issues and Questionable Categories, and; 4. Concluding Perspectives. Frey provides a history of interpretation, though brief, of how scholars (liberal and conservative) have understood eschatology and the issues associated with this discipline. Providing a historical context is so important to see “where we’ve been” and will most likely provide some sort of trajectory of “where we should go.” Pertinent to this history is how eschatology has morphed into two categories of prophetic and apocalyptic-like literature and how Luke 17.21 was, initially, the lens to view the kingdom (“kingdom of God is in your midst”) solely as a present reality.